California Coastal Commission approves plans to replace 49-slip marina with 48 slips. 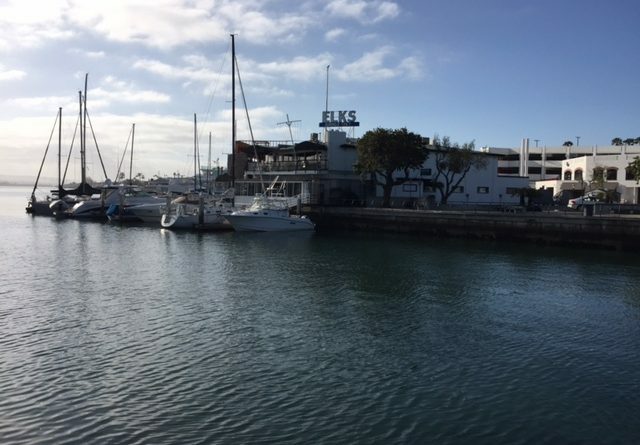 SAN DIEGO — A plan to demolish a 49-slip marina in Newport Beach and replace it with a new boating venue with 48 slips and an expanded public waterfront was approved May 12 by the California Coastal Commission. Lido Marina in Newport Harbor will essentially be replaced with similar sized waterside infrastructure. Tweaks would also be made to the public boardwalk to provide visitors a little more elbow room. The marina currently accommodates boats from as small as 20 feet to as large as 92 feet. A larger number of small boats (20- to 38-footers) would be featured in the updated marina. Upgrades would be made to all three Lido Marina’s docks, according to Coastal Commission staff. The upgraded marina would be able to accommodate 31 vessels in the 20- to 38-foot range, compared to 20 similarly sized boats in the current configuration. Plans also call for a greater number of large boats to be accommodated at the new marina. An upgraded Lido Marina would feature 15 slips set aside for 80- to 90-foot boats. The current configuration only permits four slips for vessels larger than 66 feet (all set aside for 92-footers). Slips accommodating medium-sized boats (38 to 50 feet in size) would suffer a net decrease in the new marina. “However, there will be an overall increase in over water shading of 3,169 square feet due to the addition of the cantilevered public boardwalk, and new kayak float in Dock A,” Coastal Commission staff added. Lido Marina was built in 1955 and, according to Coastal Commission staff, is one of the largest private commercial marinas in Newport Harbor. DJM Partners, the project’s developer, would have to conduct a new eelgrass study before moving forward with the project. The most recent survey was completed in 2015. No dredging is required for the redevelopment of Lido Marina, according to Coastal Commission Staff. The Coastal Commission held its May meetings in San Diego.